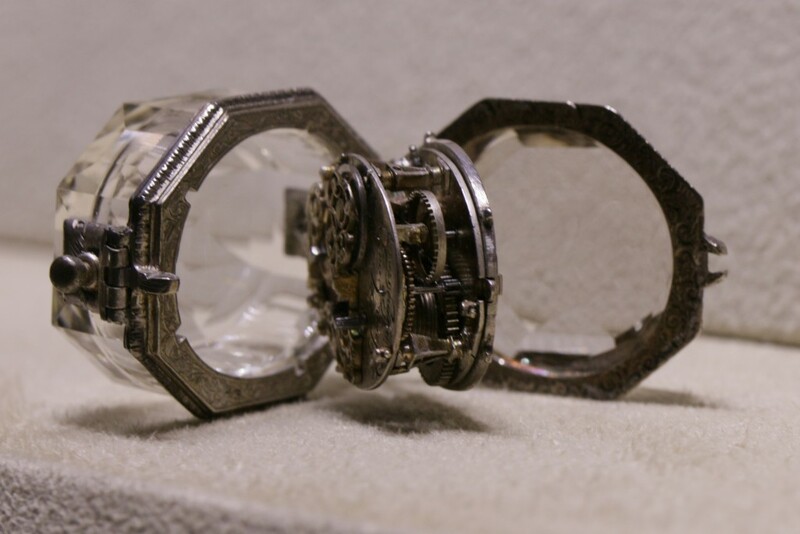 It’s possible that we may never know for sure when the first wristwatch was made, although that hasn’t stopped a number of Swiss brands laying claim to the production of some iteration of that ur-device. The Patek Philippe N° 27’368 is such a piece – a six line, gilt, cylinder escapement encased in a rectangular gold bracelet with a hinged, hunter-style cover. 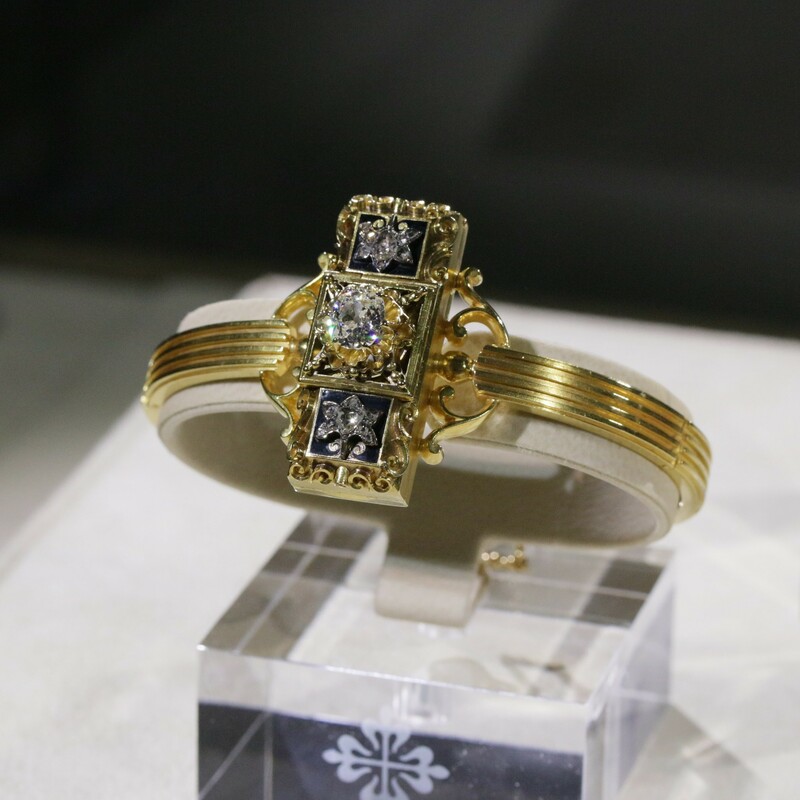 This, the first Swiss wristwatch, was made in 1868 and sold to the Countess Koscowicz for 1200 francs, although it’s not clear who originally commissioned it from Antoine Norbert de Patek and Jean Adrien Philippe. 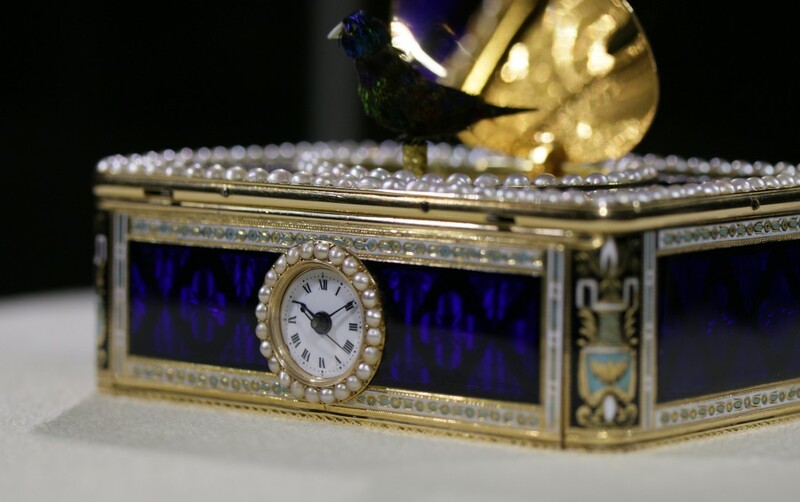 The watch is usually behind the well maintained glass of the Patek Philippe Museum in Geneva, so it was wonderful to be able to see it as part of the Watch Art Grand Exhibition in London’s Saatchi Gallery during May which drew a not unimpressive 42,500 visitors over a twelve day period. The exhibition was spread across 21 rooms grouped into half a dozen “zones”, with a well-regimented path to follow, as well as an audio guide for objects of note. 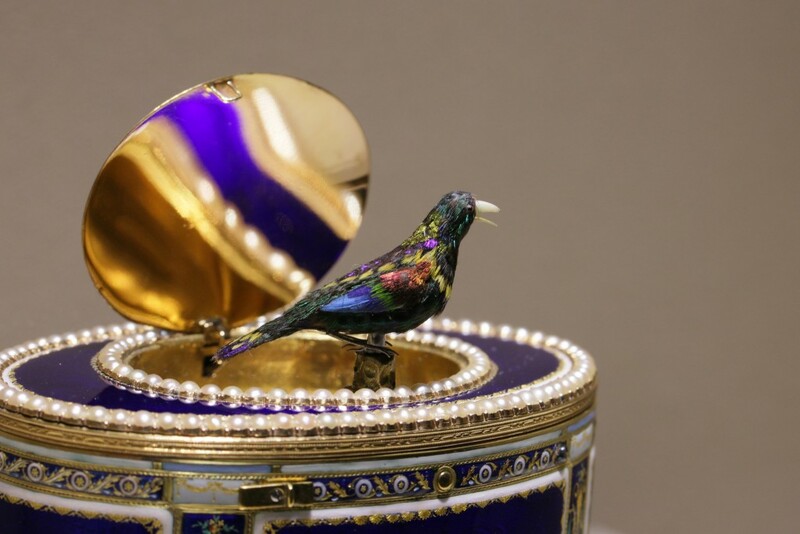 The route took the visitor through an immersive area showing an introductory film, introduced them to metier d’arts and other decorative skills, and included over 400 pieces, from automata to automatics, which spanned almost five hundred years of watchmaking. 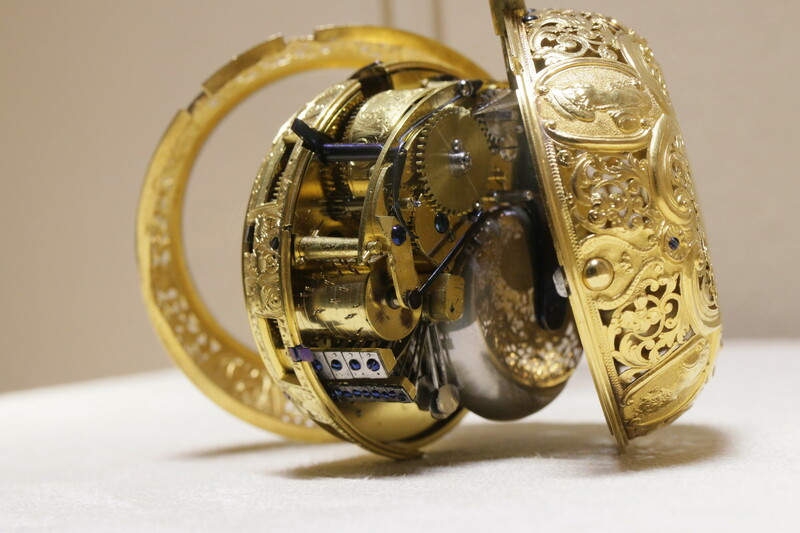 At the end of the route, British watchmakers answered visitors’ questions about case refinishing, movement assembly and the chiming mechanism of a minute repeater movement. One of the most interesting and yet strangely frustrating experiences was a room in which Patek Philippe had displayed their 49 watch movements, based on 19 core calibers. Many of these watch calibers include complications such as split second chronographs, moonphases or perpetual calendars. Each movement was held in a perspex holder, some of which were simply on display in racks, while others were placed in a large light box, with an electronic viewfinder allowing closer inspection. Unfortuneately, limited information was provided about these beautifully finished and often breathtakingly complicated movements, which left me feeling slightly underwhelmed (and not a little bit confused). 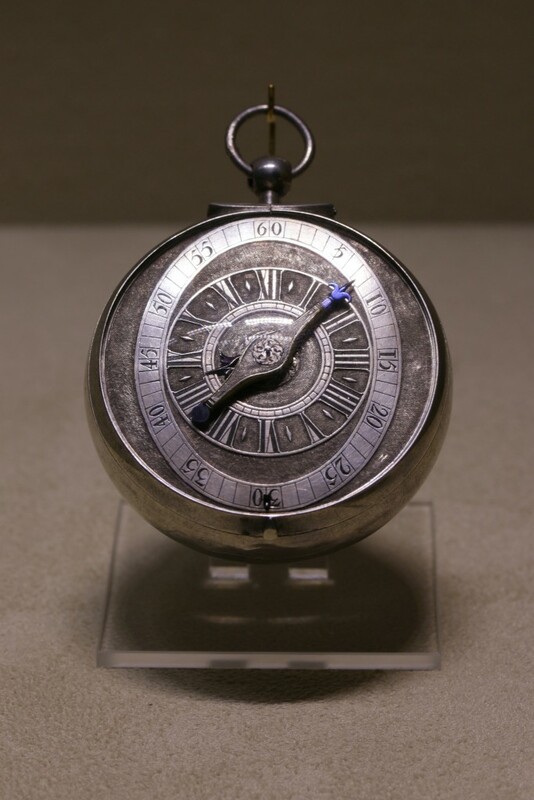 The one movement that was not on display was that of the N° 27’368, the first modern wristwatch. Patek’s definition of the wristwatch is interesting in itself: N° 27’368 was made primarily as a timepiece to be worn on the wrist, rather than as a piece of jewellery (i.e. the bracelet is of secondary importance). 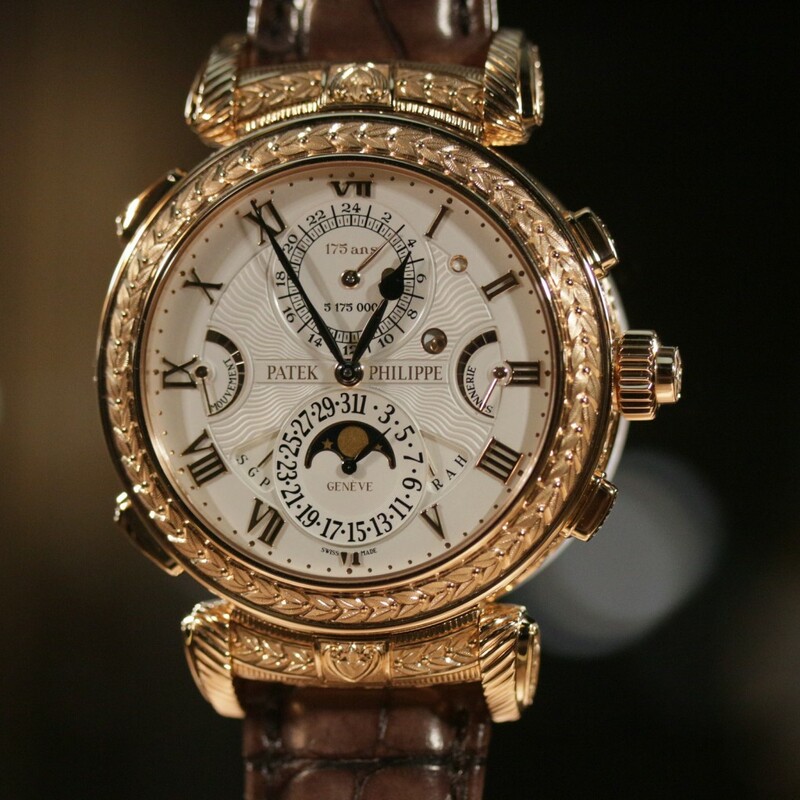 That must have required, one imagines, a great leap of faith on the part of Messrs Patek and Philippe. 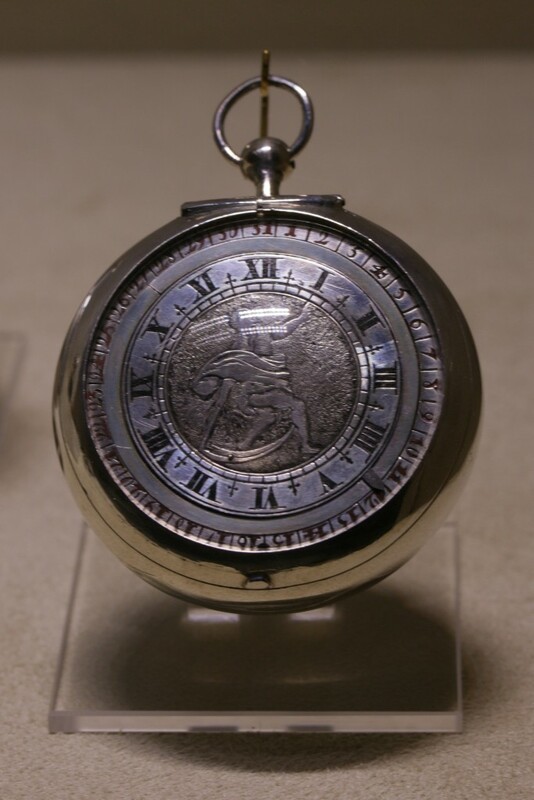 While wristwatches gained popularity with women during the 1880s and 90s, and were also produced for men as military timekeepers during a similar period, the earlier oblong-shaped repeater for wristlet sold to the Queen of Naples on 5th December 1811 by Breguet, appeared to have made no horological or sociological impact at all. N° 27’368 was finally sold to the Countess on November 13, 1876, some eight years after it had first been built.